After reports of Reliance Jio becoming the primary data connection on mobiles in India, a new survey report suggests that Jio has the highest data traffic share in India surpassing the telcos like Airtel and Vodafone. According to a report by Credit Suisse, Jio has 94 per cent traffic share while Airtel, Vodafone and Idea contribute 2 per cent each to the traffic. A survey was conducted in 30 cities which revealed that Jio had better 4G coverage in 80 per cent of cities with atleast 30 per cent coverage presence in almost every city. Airtel, Vodafone and Idea had coverage in 10 to 30 per cent of the cities. Reliance Jio has become the primary data connection on most of the mobile devices in India. 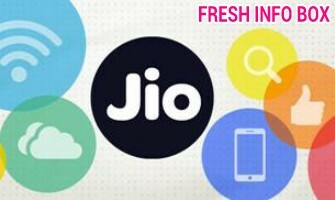 According to a consumer mobile analysis app, the company has nearly 42 per cent users who have activated Jio in their 4G-enabled slot. Airtel takes the second spot with 17.54 per cent, Vodafone at 12.26 per cent while Idea takes the last spot amidst the four telcos with 11.50 per cent 4G activation. Reliance Jio is also leading in data consumption with a Jio user logging 6.54GB on average compared to 1.28GB on Airtel, 1.29GB on Vodafone and 1.32GB on Idea. This report suggests that this is due to the Welcome offer of Jio that offered unlimited data to its subscribers till March 31 this year. The report found that lowered costs being the driving factor, mobile data consumption in metros has increased by almost 6GB and non-metro by almost 5GB over the last few months. The use of social networking platforms such as Facebook and video-streaming apps like Youtube are the primary drivers of usage and large-scale adoption of mobile internet across India.